Welcome to Monki Home! 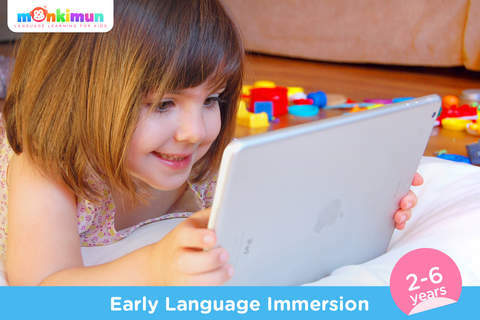 Monkimun creates #1 Language Learning Apps for Kids 2 - 6 and this is our new pack of lessons! Encourage & help your kids become bilingual by playing - they won’t even notice they’re learning non-stop. Come to play with our Monkiland´s friends and learn a lot of everyday words in different languages. Feed Elliot the panda with a tasty well-cooked steak! Dance a little flamenco along with Lisa the cat or help Billy the chick pick his toys before going to bed. Brush Cowy’s teeth and dry her hair after a nice shower. There’s a lot of housework to do at Monki Home! 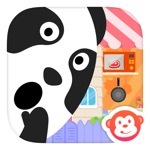 Enjoy this app with your kid - you’ll love it too! This app has a 4.1 star rating (37 ratings). It occupies the 141767th position in our ranking with 63 points. It is among the 5% best ones of the overall top.